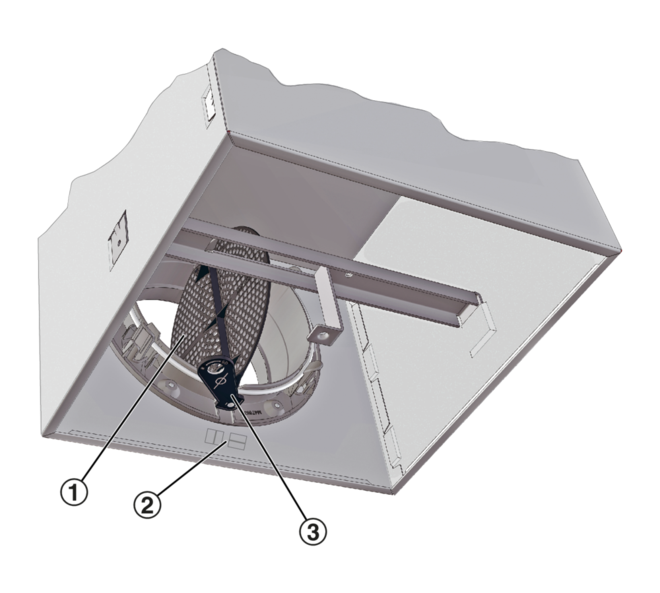 Type AIRNAMIC ceiling swirl diffusers have fixed blades with three-dimensionally profiled contours. This allows for high volume flow rates and low sound power levels. 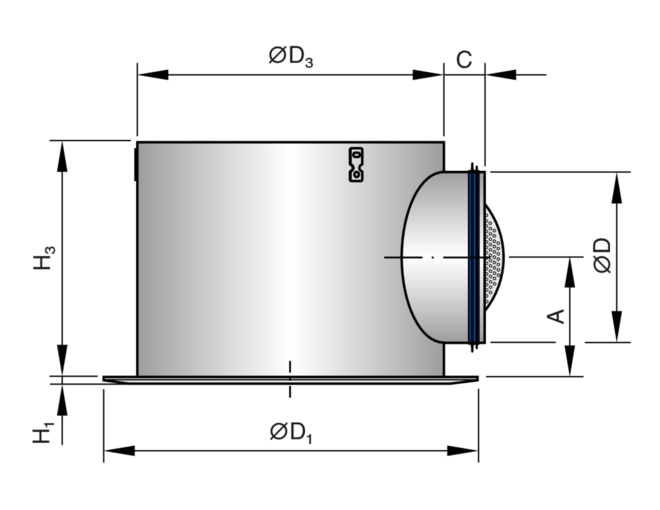 The supply air to room air temperature difference may range from –12 to +10 K.
A damper blade simplifies volume flow rate balancing for commissioning. To give rooms an aesthetic, uniform look, Type AIRNAMIC diffusers may also be used for extract air. There is then no equalising element. 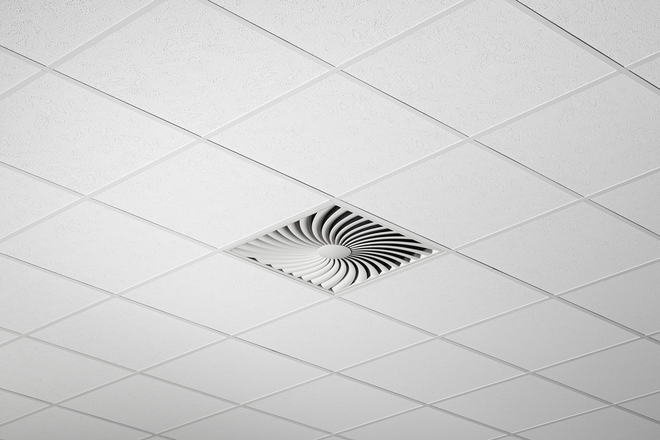 Ceiling swirl diffusers with square or circular diffuser face, for comfort zones with particularly demanding requirements of aesthetics and design. 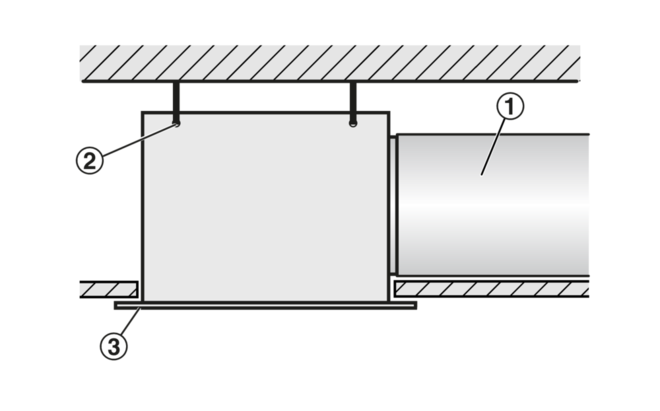 Supply air and extract air variants. 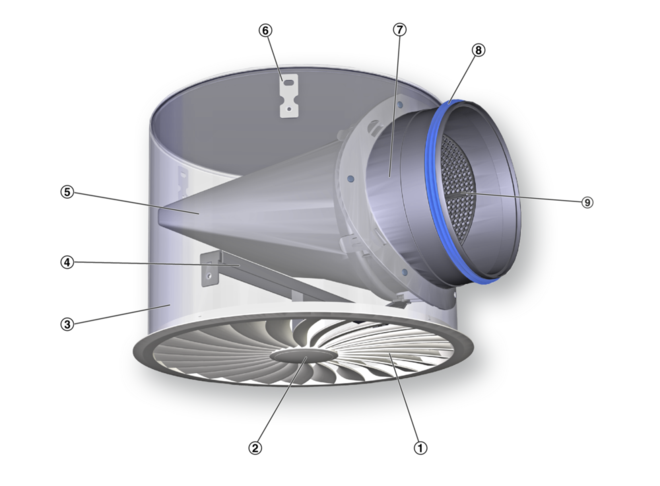 Excellent aerodynamic and acoustic function due to air control blades with optimised aerofoil contours, for horizontal swirling air discharge, creating high levels of induction. 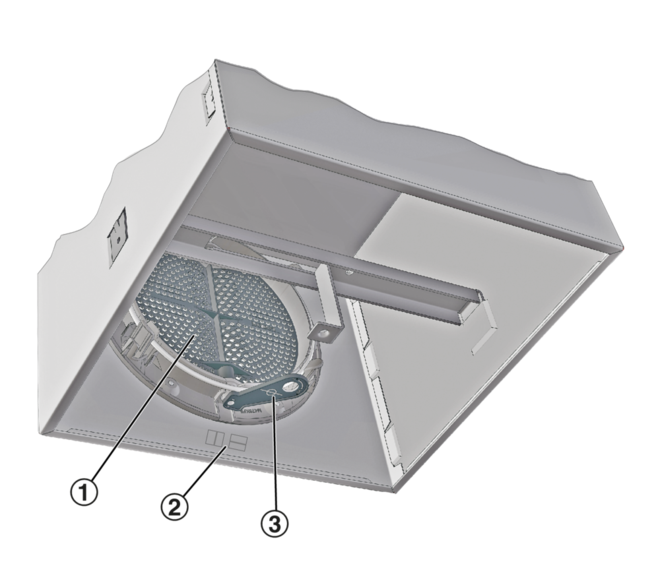 For installation into all types of suspended ceilings. 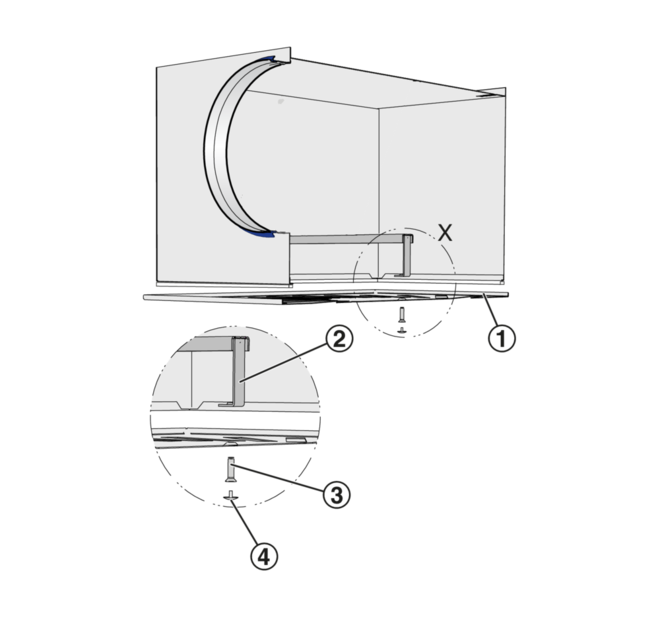 Ready-to-install component which consists of the diffuser face and a plenum box, equalising element (only supply air variants), side entry spigot, cross bar, and suspension holes or suspension lugs. 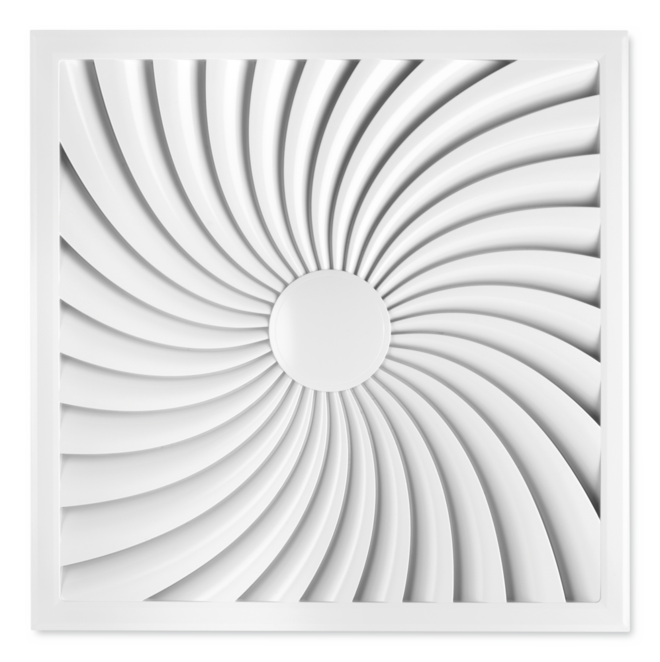 Type AIRNAMIC swirl diffusers meet the most demanding requirements of technical function, comfort, and design. 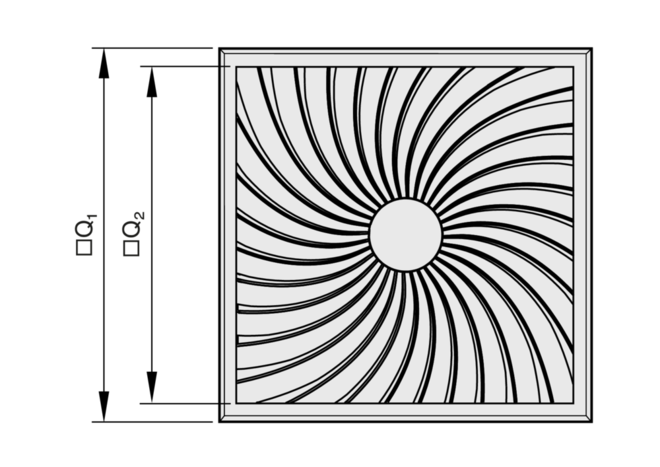 The unique design of the air control blades, a specially developed equalising element, and the innovative plenum box result in high volume flow rates, a low sound power level and low differential pressure. 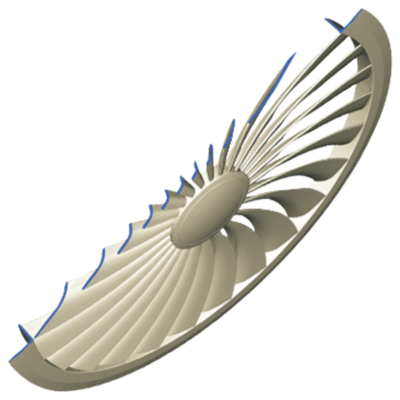 The air control blades have three-dimensionally profiled contours to create an efficient swirl. As a consequence, the air velocities and temperature differences in the occupied zone are very low, and the level of comfort is excellent. 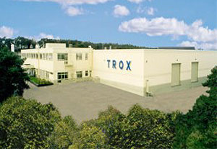 The production of these unusually contoured blades is only possible by the use of high-quality plastics and by applying innovative production technology. 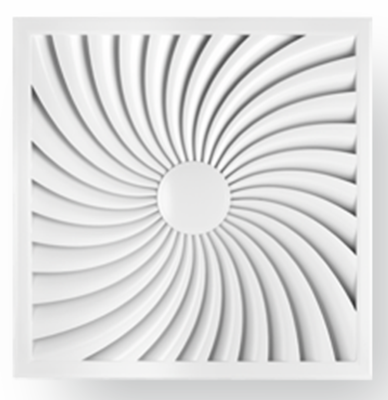 The exceptionally aesthetic air control blades allow for perfect architectural integration of the circular or square swirl diffuser and therefore make for an important design element for building owners and architects. 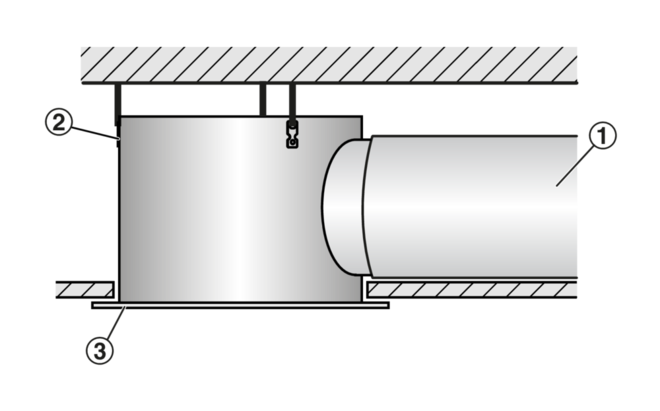 A spigot with double lip seal provides a low-leakage connection of the plenum box to the ducting, and a lockable damper blade for volume flow rate balancing simplifies commissioning.